The normal Continental has such a recognizable front end—simple, yet elegant—that the second a Supersports comes into view an enthusiast can spot instantly that something is different. New vertical air intakes flank the front air dam, hood louvers shimmer with exhausted heat, and wider hips out back swell to accommodate a larger rear track. It’s all part of a crash engineering program launched by Bentley to cure a few niggling issues with the big coupe: namely, weight. While rooting around in the Bentley’s bits, engineers not only managed to hew more than 200 lbs. from the Continental, they also managed to fit higher-performance goodies like carbon-ceramic brakes. Best of all, a few horsepower were found hiding inside the twin-turbocharged 6-liter W12 (yes, “W”—imagine two narrow-angle Volkswagen Group VR6s joined at the crankshaft), so the Supersports now has 620 horsepower to waft it down the motorway. What should be most impressive is that while the Supersports is still a massive car—solid, comfortable, and undeniably luxurious—those twelve cylinders’ massive thrust can catapult the Supersports to 60 mph in less than four seconds, fast by any measure. And “catapult” is an accurate description—the forward surge of a Supersports would be surprising in a stripped-down sportscar, but coddled in sport seats swathed in fine leather, it’s simply another luxury from a brand that knows that word very well. 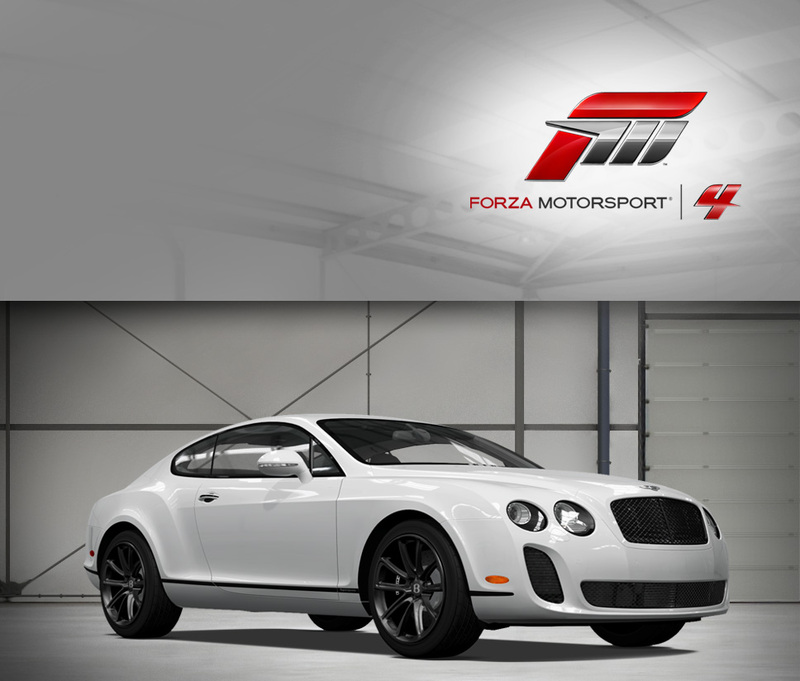 Bentley nearly broke the sound barrier as it shot into the 21st Century by introducing the Continental GT, an all-new coupe that brought the distinguished company from Crewe, England to the forefront of the luxury market. The Continental is a combination of exceptionally advanced equipment and the same craftsmanship that has always separated the company’s exclusive vehicles from the competition. Those traits and the GT’s instantly classic lines have also allowed the new Bentley to appeal to a much broader range of well-heeled buyers than before-- it’s as much at home rolling down Rodeo Drive with Paris Hilton in the driver’s seat as it is tearing up a Swiss mountain road, W12 howling. The advanced “W” engine configuration also sets the GT apart from its competitors; essential two V6s joined at the crank, the compact motor is force-fed by a pair of large turbochargers to make ample power and torque. The Continental is a hefty, substantial car, yet the huge motor and all-wheel drive system let it charge to 60 mph in a sportscar-embarrassing 4.4 seconds. The cockpit may be trimmed in Old World luxury, but there’s no mistaking the Continental GT for anything other than a modern tour de force. It had been nearly three-quarters of a century since a Bentley turned a wheel in anger on the famed Circuit de la Sarthe, but in 2003 the #7 car made Bentley’s return official by winning Le Mans outright. It took just two years of racing for the company from Crewe to learn important lessons about handling and aerodynamics with their new cars. Despite being in the final year of the racing program, Bentley incorporated all of their recently-acquired knowledge from the earlier cars into the new 2003 Speed 8, which was essentially a new car from the ground up. Retained is the 4-liter Audi-sourced V8 engine (Bentley and Audi share a corporate parent), producing well in excess of 600 horsepower. 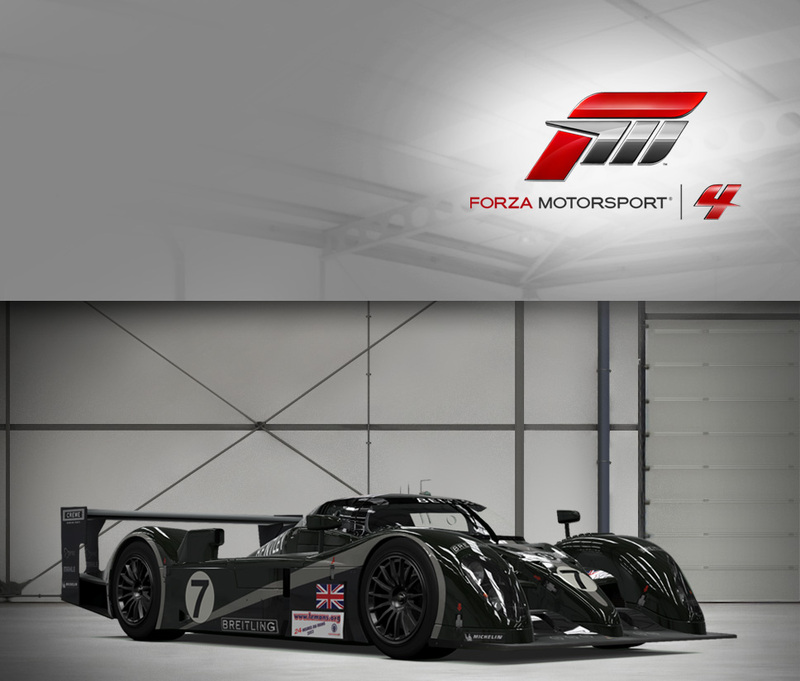 The new design and proven engine were more than enough to propel the #7 car to victory in the hands of Guy Smith, Dindo Capello, and Tom Kristensen. 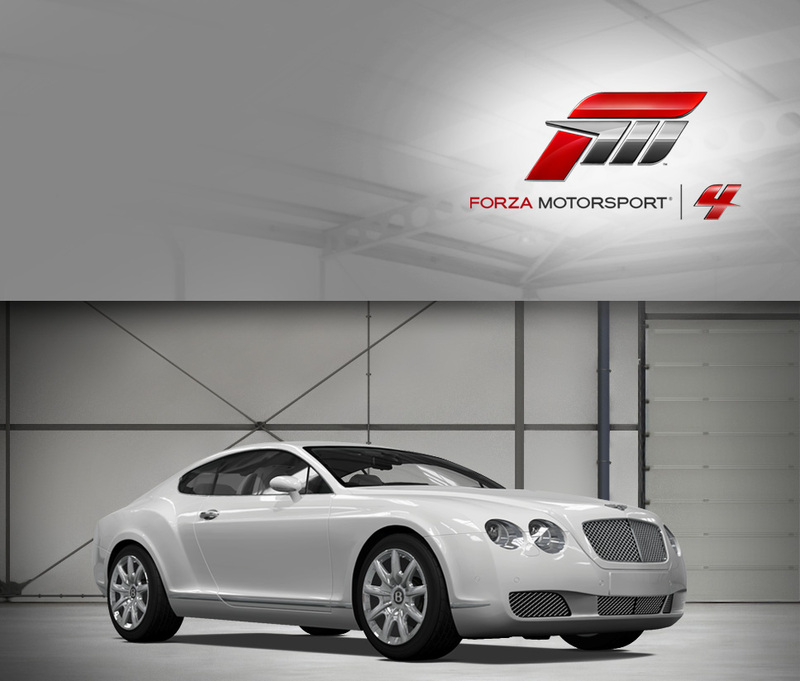 It takes a special car to be awarded Forza Motorsport’s E3 2011 "Car of Show" but, then, this modified Bentley Continental GT knows a thing or two about special. 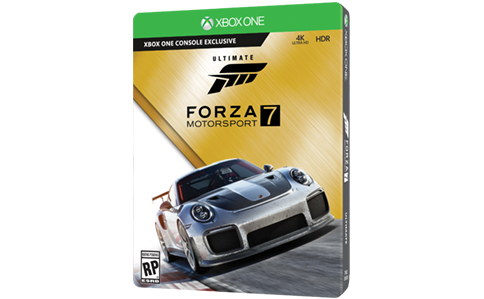 If you aren’t familiar with the story, during last year’s Forza Motorsport 4 E3 party in Los Angeles, Turn 10 transformed a downtown parking lot into a miniature SEMA show, with a host of cars lining up to be judged by our panel of car experts. With some incredible competition (including Quinton "Rampage" Jackson’s customized Dodge Challenger) on hand, choosing a winner was difficult but, in the end, the gorgeous matte white widebody found on this Continental GT--custom built by LA-based Platinum Motorsports--managed top honors. It’s more than good looks too—the car’s 6.0 liter engine is capable of more than 700 horsepower, making this car both a beauty and a beast. In other words: Best in Show.